If you are an activist or represent an NGO or other organization interested in getting access to Guardian-enabled mobile phones, please let us know. We are always interested in finding new partners to work with. Note: this project receives grants and sub-contracts from organizations (such as the Open Technology Fund) and research projects (such as the Tor Project) that receive funding from the U.S. Government and other governments around the world. None of this funding has modified or shaped our development plans, and we would never, ever put any sort of backdoor or compromised component into our software based on this funding. We received funding in 2017 and support for a crowdfunding effort from FPF related to our work on Haven. In 2014, we received a generous grant from the New Digital Age Grants program. In January 2011, the Guardian Project received a no strings attached donation from Google. We used this funding to accelerate our development activities in various areas, host developer events, produce audits and guides, and support activists in the field. This should not be seen as any formal endorsement of our work by Google corporate, hence we are not putting their logo here. 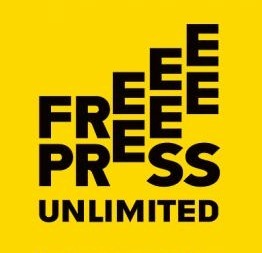 The Netherlands-based Free Press Unlimited has supported our work on StoryMaker, a new project focused on creating tools to help journalists and others use mobile media publishing in a more effective and secure manner. The Open Technology Fund has provided support for work on our core apps, the StoryMaker project, and future work on decentralized application distribution. The Guardian Project is directly supported and financially sponsored by the Tibet Action Institute. In addition, this project wouldn’t be anywhere without the early and enthusiastic support of Students for a Free Tibet and the entire Tibetan community. Bhod Rangzen! Guardian has collaborated with the Tor Project to bring their software to Android. We are working with Witness.org on InformaCam and ObscuraCam, human rights-focused secure camera applications for mobile phones. WITNESS receives funding from the International Bar Association and the Knight Foundation, among other funders, to support this work. We have worked with MobileActive.org on their SaferMobile initiative. Avaaz has graciously provided grant funding through our work in support of human rights in Tibet and China. The Human Rights Center at UC Berkeley uses innovative technologies and scientific methods to investigate war crimes and human rights abuses. Guardian received first prize in their 2009 “Soul of the New Machine” Grant Competition.